This is a backdoor tax increase by Obama. Here's a sobering fact likely known to few Americans outside of the nation's capital: The federal government is the only government on earth that collects more than $1 trillion in taxes annually. That's not unexpected since the U.S. also has the biggest single national economy in the world. It stands to reason the most productive economy would generate the most tax revenue. But there is another way to look at that data point. Are there additional costs to Americans as a result of what the federal government does with its trillions in tax revenues? Wayne Crews of the Competitive Enterprise Institute provides a definitive answer to that question today with publication of the latest edition of his annual compilation, "10,000 Commandments: An annual snapshot of the federal regulatory state." 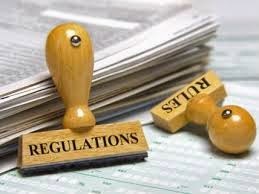 Crews estimates the annual cost of compliance with the record number of new federal rules and regulations issued under President Obama at $1.863 trillion. That works out to a $14,974 "hidden tax" every year for the average U.S. household. That's 23 percent of the $65,596 annual average household income in America.